I’ve spent several of the last Christmases in Evanston, Illinois with my aunt, uncle, and cousins. When it comes to Christmas dinner, we don’t really have anything traditional, usually lasagna or sandwiches, whatever we feel like. But, when it comes to Christmas breakfast, my uncle is always in the kitchen scrambling up eggs, baking biscuits, and whipping up a warm batch of latkes. This Christmas I stayed home and didn’t care about what I did or ate on Christmas day except for what I ate for breakfast. 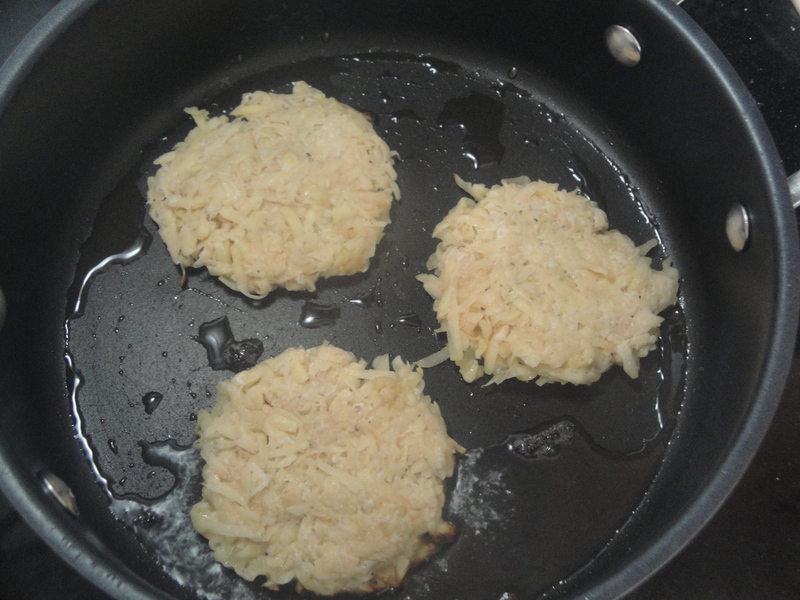 So, I decided to make the latkes myself and ended up making Potato-Apple Latkes. I don’t know what my uncle puts in his latkes but these are nothing more than potato, apple, flour, salt, and pepper. 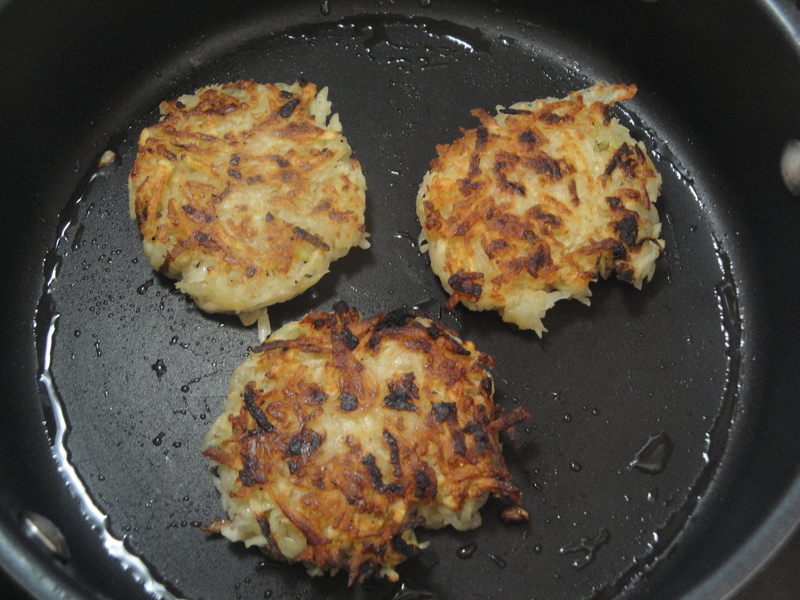 I used Granny Smith apples because I already had some on hand and they added the slightest hint of sweetness without taking away from the traditional latke taste. 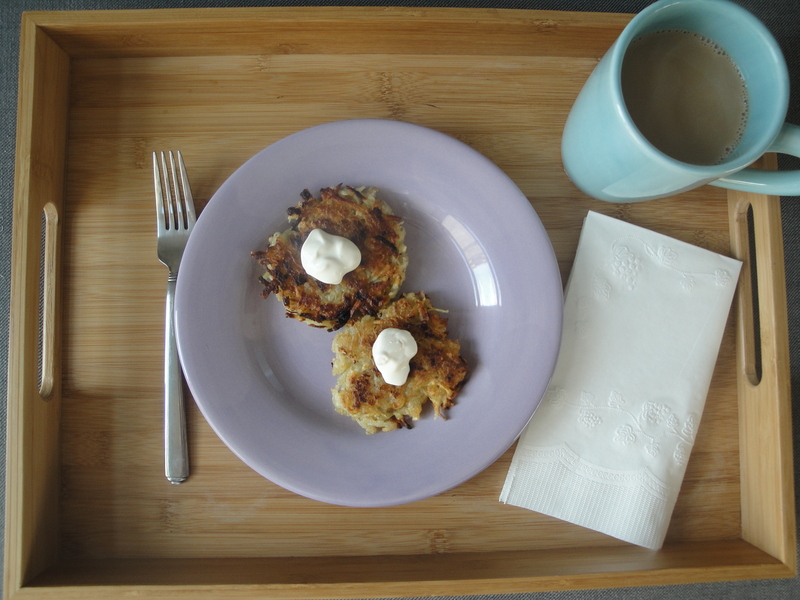 Latkes are a great alternative to regular breakfast potatoes or hashbrowns and although I think my uncle’s latkes are better, these were still pretty darn good. 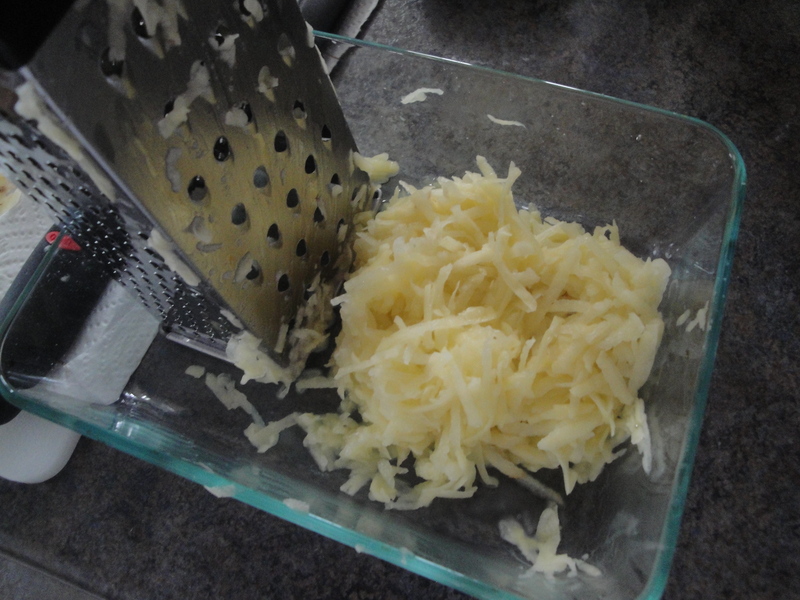 Peel the potatoes and shred them with a kitchen grater. 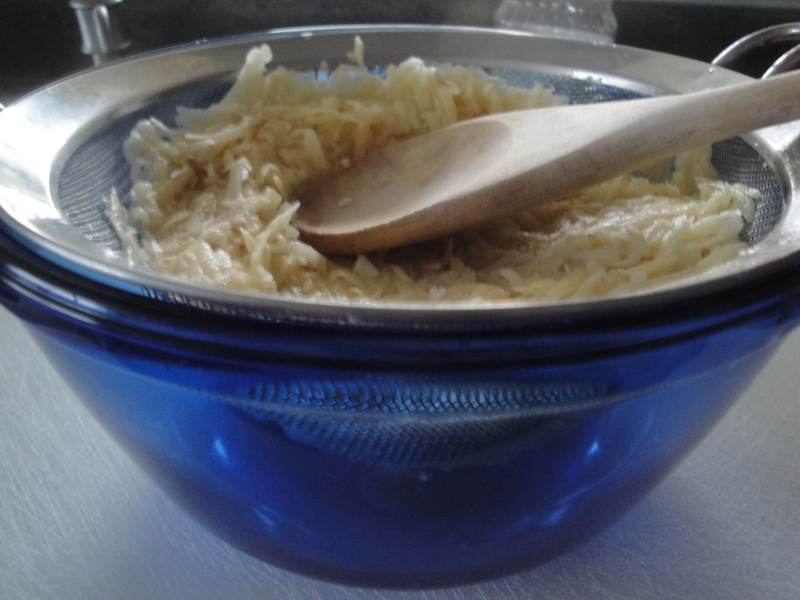 Repeat the same procedure with the apples and place in a strainer or colander over a bowl to drain for 20 minutes. Use a wooden spoon to press down the potatoes and apples to get as much liquid out as possible. With clean hands, squeeze excess water by hand if necessary. 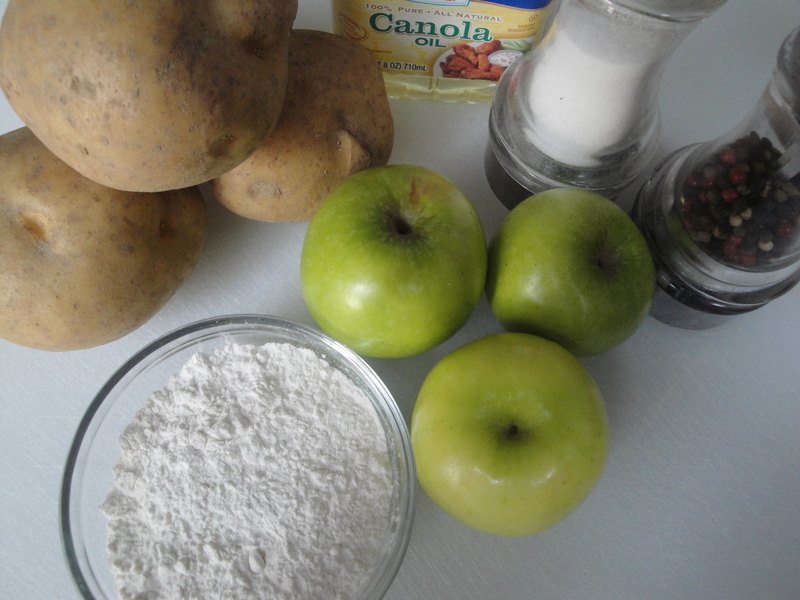 Place dried potato-apple mixture in a bowl and add flour, salt, and pepper and mix. Add oil to a pan over medium-high heat. 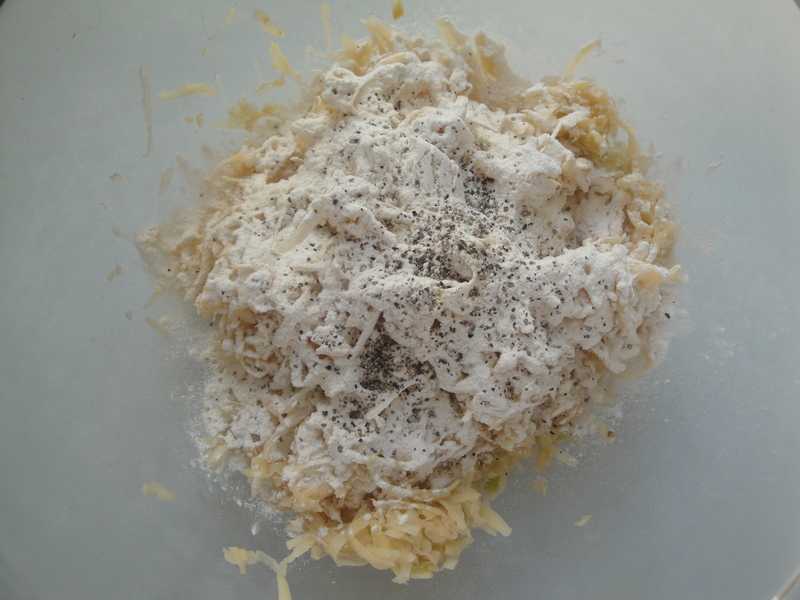 Using a 1/3 measuring cup, place mixture into the pan, flattening with your hands or the back of the measuring cup. Cook on both sides until brown. Serve with sour cream, crème fraîche, or applesauce. These sound great. I’m tempted to try them – but you may remember the last time I tried to vary from the traditional recipe I had a revolt on my hands. 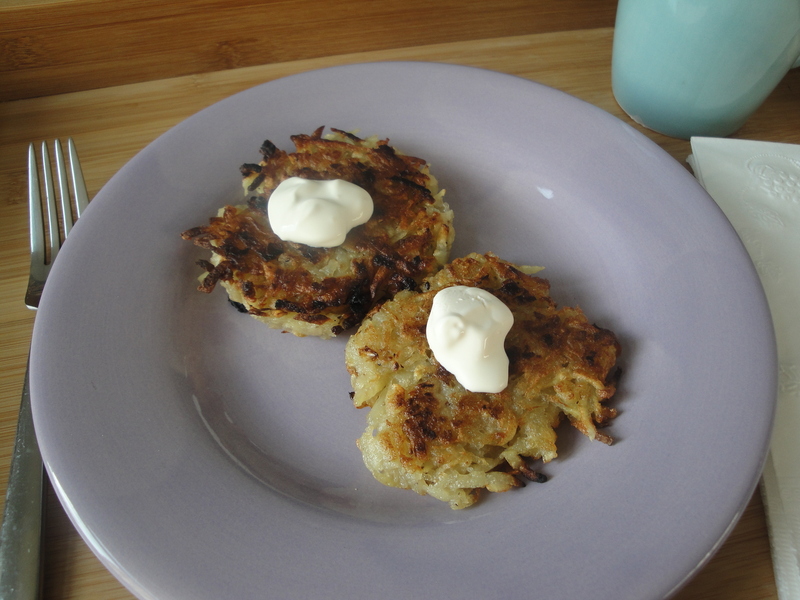 Though maybe zucchini wasn’t the best idea; green latkes didn’t seem too appetizing to the crowd. Your idea sounds better! (I do put eggs in mine for mainly for texture…). Happy holidays!